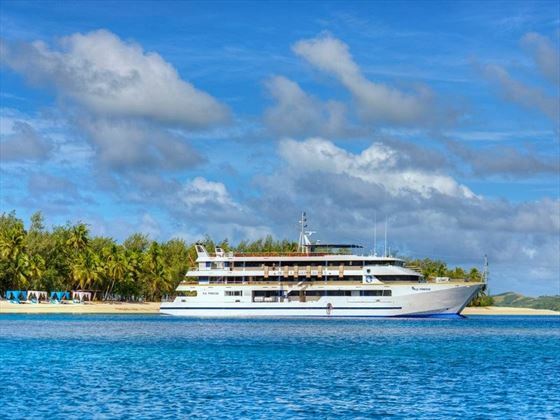 If you’re hoping to discover the unspoilt beauty of Fiji but don’t have much time, this three-night cruise is perfect for you. 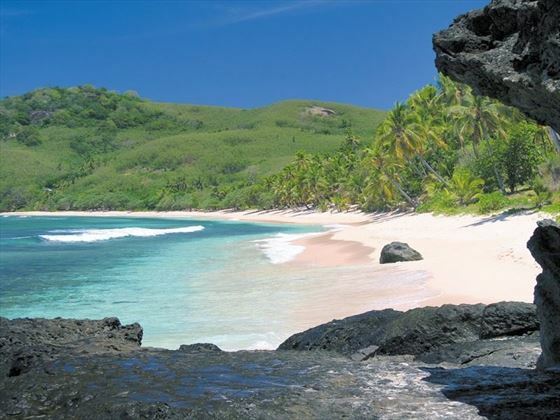 Beginning in Denarau, you will begin with a trip to the remote and untouched Modriki Island, before exploring the jaw-dropping southern Yasawa Islands, including Nativi, Soso, Naukacuva and Narara, and ending with an afternoon overlooking the Sacred Islands*. 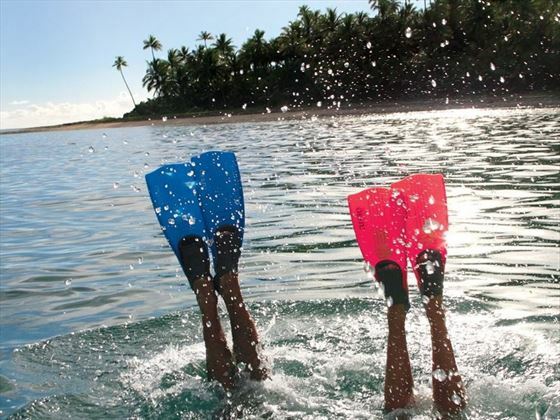 Will traditional kava ceremonies, fascinating village visits, a plethora of wonderful snorkelling opportunities and an extra-special church service, this is the ideal way to really delve in to Fiji’s warm and welcoming culture. Today you will board the Fiji Princess and tuck into a delightful afternoon tea as you sail from the Denarau Marina to the outer Mamanucas, first stopping at the serene and secluded Modriki Island. Once the film-location for Tom Hanks’ movie Cast Away, this tiny island is framed by stunning white sand beaches. As the sun starts to set, you’ll enjoy cocktails paired with decadent canapes on the sun deck, giving you the chance to meet fellow passengers. Then it’ll be time for the Captain’s Welcome Dinner, a delicious a la carte meal served in the dining saloon as talented singers, dancers and guitar players serenade you. 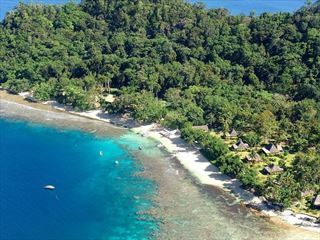 In the early morning, you’ll have time to snorkel & swim in the vibrant reef or wander along the beach, before leaving Modriki Island and setting sail for the southern Yasawa Islands. On the journey you’ll stop off at a special location, where the adventurous can swim with gentle reef sharks (sea conditions dependant). Once back on board, you will sail around the striking Naviti and Soso Bay, dining on delicious lunchtime bites before stopping off at the chiefly village of Soso. Here you’ll be welcomed in traditional Fijian fashion with a kava ceremony, before a lovely tour through the charming village. Later in the afternoon you will enjoy a presentation on the local history and legends of early Yasawan life, and – if you’re lucky – a village elder will tell you their own tales. An optional sport fishing trip is available, as is an optional diving excursion - both at an additional cost. 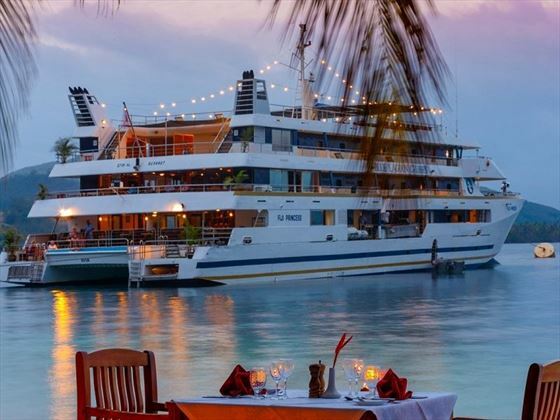 Dinner will be served back on the Fiji Princess, with flavoursome cocktail served on the sun deck, and a brilliant Indian Thali buffet dinner in the dining saloon. Afterwards the night will turn into a Bollywood extravaganza, so grab an outfit from the fancy dress box and join in with the lively Bollywood dancing, or watch a colourful Bollywood film on the big screen. 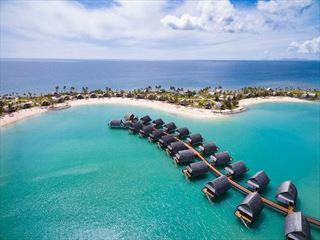 As Sunday is the day of rest in Fiji, today is a quiet day for unwinding and enjoying the views. Begin the day with an aromatic coffee and a morning swim, before joining in with a village church service – the joyous ambience and beautiful singing is a very humbling experience. 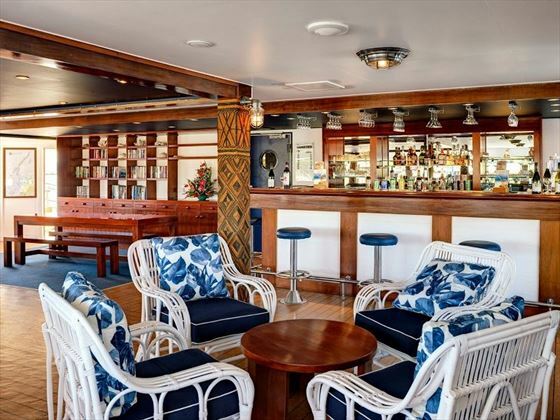 You’ll then board the Fiji Princess again for lunch, partaking in Fijian cooking lessons and basket weaving as you sail to the next port of call – the Naukacuva and Narara Islands. Shrouded in thick, luscious forest and framed by sugary sands, these islands paint a beautiful picture, and are an ideal spot to relax. Sunbathe on the ship’s sundeck, snorkel in the shallows, or embark on a diving excursion (extra cost). 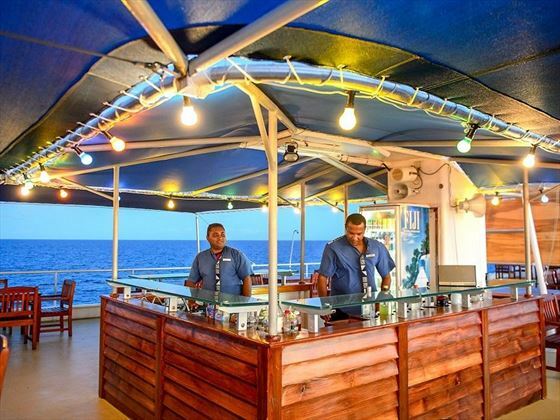 As the day draws to a close, you’ll again enjoy a few cocktails and canapes on the sun deck. 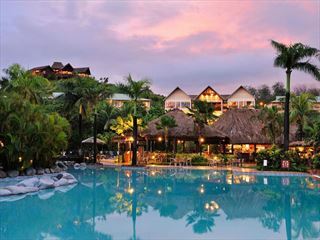 The buffet tonight showcases Fiji’s traditional fare, as well as a choice of European dishes, and Bingo will also be held in the dining room. Anchorage between Naukacuva and Narara Islands. In the morning, you have the opportunity to partake in an early fishing trip with the crew, before tucking in to an a la carte breakfast. You’ll have a bit of time to snorkel, swim or kayak in the azure bays before departing Naukacuva and sailing to the beautiful and remote Sacred Islands*, where you’ll enjoy a flavoursome lunch onboard as you take in the incredible views. 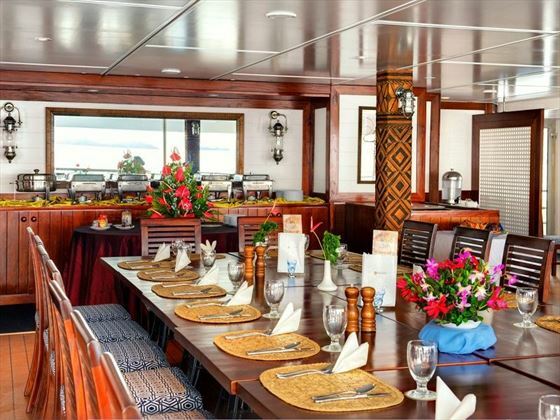 After lunch, the high-speed transfer vessel Cougar II will take you back to Denarau Marina, where your cruise will end. *Between 5 June – 13 July, the cruise will venture to the Yalobi Bay situated on the southern tip of Waya Island instead of the Sacred Islands. 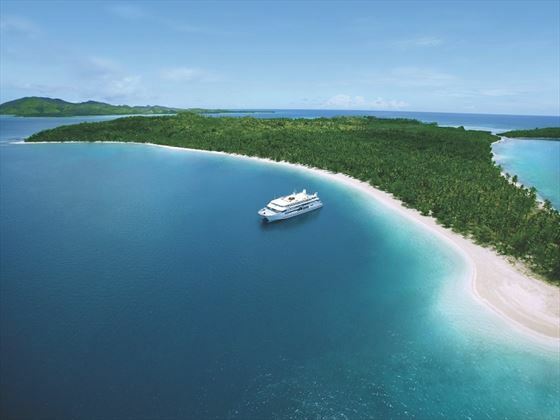 Great savings Book now and save €220 per person when you book on the Fiji Princess 6 months in advance of your cruise date. Limited availability per cruise. Take a friend for free Book and travel on selected dates within 2019 and take a friend for free! Book by 15 May 19. Valid in the Hibiscus & Orchid cabin, twin/double sharing acbin only. Not combinable with any other offer. Cruise dates are: 26 Apr, 31 May, 7 & 28 Jun, 5, 12, 19 & 26 Jul, 9 Aug, 6, 13, 20 & 27 Sep, 11 &18 Oct 2019.